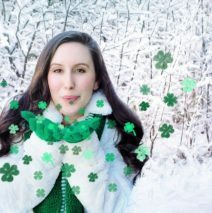 Each year, I publish keyword lists for the major holidays and now that Valentine’s Day is over, the next big one is St. Patrick’s Day. I love St. Patrick’s Day. While my mother was born on St. Patrick’s Day and my surname is Kelly, I’m not actually Irish. I’m more of a mixture of German and Hungarian ancestry, but I suppose the jury is still out until I get my Ancestry.com results! Saint Patrick’s Day is a wonderful holiday filled with parades, shamrocks, golden coins (sometimes made of chocolate), and Irish pride. This year, my Scottish-Irish husband will be treating us to his famous corned beef and Pippin the puppy will be celebrating his one year anniversary with us. It’s going to be a great holiday in the Kelly-Dickey home and I hope, if you celebrate, you’ll have a wonderful day as well. However, as artists, sellers, and crafters we still need to market our products. Seasonal marketing is so very important and by having updated keywords well in advance of the holiday, you can (hopefully) capture your actively shopping target market. This list is NOT comprehensive and will not work for all platforms, products, or people. As always, do your own research to see which of these phrases, if any, will work for your needs. If you are still struggling with SEO, don’t hesitate to reach out to me directly. Not only do I offer Etsy Title and Tag packages, but I also host free shop critiques and coaching in my Facebook group Copywriting for Creatives. Thank you for sharing! This is an awesome list. Do you think it’s too late to post St Patrick’s Day items? I say go for it! You won’t sell anything if you don’t list it, so you might as well try if you can. Hi Kateland. . I just subscribed.